The project is built, and now the cash should start rolling in. But the ramp-up does not go smoothly: operators and maintainers are unfamiliar with equipment procedures, some supply contracts have not been finalized, the equipment and engineering documentation was delivered but not in a format that can be transferred to the enterprise asset management system, acceptance testing was rushed, and the installation contractors are now gone. The result is that early operational performance , and the first year after start up is filled with unplanned maintenance actions and operation upsets. Operating costs are higher than expected. IPA data show that during the second 6 months of production, the average minerals project falls 21 percent short of its plans. Moreover, the operating costs for most projects are higher than planned. The result is a significant value leakage and erosion of the project’s planned Net Present Value (NPV). The transition to operations is fraught with the potential for NPV losses. However, by developing “ready to operate” plans during FEL, project teams can mitigate NVP “leakage” that could occur. 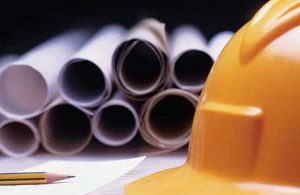 The development of ready to operate plans is a clear owner responsibility. Too often though, such planning is delayed, not properly staffed, and not well planned. The result, then, is a series of efforts to catch up that are both inefficient and costly. Supply contracts that have not been finalized may have to be renegotiated, for instance. Another setback could be operations delays associated with familiarizing operators and maintainers with the equipment on site. The People is focused on whether operators and maintainers will be available in the numbers needed and trained to move into the operations role when systems are handed over. In Industry, this is generally a well understood need. What is often overlooked are the elements of organization change. New facilities can mean a changed or new organization. What is the new organizational vision? How might the culture change? How will the changes in the organization be rolled out and explained? Who will take the leadership to describe the vision and communicate it to staff? Planning for these elements is required to have a smooth transition into operations. Systems readiness is focused on whether the management information systems needed to run operations are ready. The new facility must integrate with the existing asset management systems, metallurgical accounting systems, health and safety systems, and ore reporting systems. All of these systems have very structured data requirements and hierarchies, while engineering data often are more document-based, with different hierarchical structures. 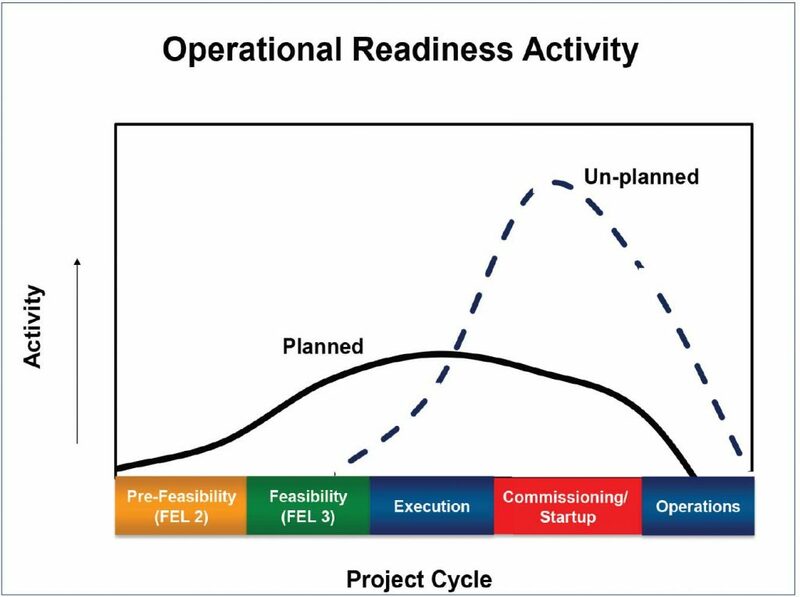 Operational readiness planning needs to make sure the inputs needed by this array of management sytems are developed in the appropriate formats and delivered on time. Supply readiness is associated with how the new facility connects with the supply chain. Items for consideration here include sourcing strategies for consumable supplies; procurement issues, such as ensuring packages include needed supporting technical documentation for operations; and getting supply contracts in place for new vendors. Equipment must also be readied, and this encompasses startup and commissioning with activities done in the right sequences and the proper operator and maintainer involvement. This is a well-understood need, but one that often gets delayed. Planning should begin in Feasibility to develop draft pre-commissioning, commissioning, start-up, and handover plans. These activities need to be resourced, scheduled, and budgeted in detail by the end of Feasibility. Too few recognize that decisions and project development planning that occur in FEL 2 affect pre-operational readiness activities following commissioning and startup. The operational readiness function’s responsibilities expand from early FEL 2 onward. By considering the People, Systems, Supply, and Equipment elements in operational readiness planning, however, the chances of a smooth handover to operations are improved. The likelihood of value leakage that too often occurs in the transition to operations is also reduced.